The expansion of my Imperial Japanese Army for Bolt Action continues with some additional reinforcements. First up is a medium machine gun. I've opted to replace the original heads and instead use the foliage covered helmets. The base was looking a bit plain, so I added in a resin ammo crate and some brass rod clippings to simulate bullet casings. The figures were well cast and assembly was straightforward. Next up is is squad of infantry in summer dress. Unfortunately, there were quite a few issues with this pack. The casting quality was quite poor, with lots of flash and metal buildup under the arms and around the guns. As such, a lot of the webbing details were lost and had to be added back with paint. The contents were also improperly packed, with 11 figures instead of 10 (nice! ), but only 9 Japanese heads (all field caps instead of the mix seen on the website) and a German head. Plus a few of the heads had so much flash on the face they were useless. Luckily I had some plastic Japanese heads left to swap in. There were a few repeat bodies in the pack, but luckily the head variants help hide that. To make and even 12-man unit, I also added in a plastic NCO with a SMG. The light machine gun for the unit was also problematic. The barrel was shorter, with less detail and a chunky bipod, when compared to its plastic counterpart. As such, I opted to cut off the original barrel and replace it with one from the plastic set. The body position of of the gunner is also strange, with his back arched up in a way that looks unnatural. I opted to put some rocks under him and grass to his side in an attempt to hide this. Last up is a Type 3 Chi-Nu medium tank. 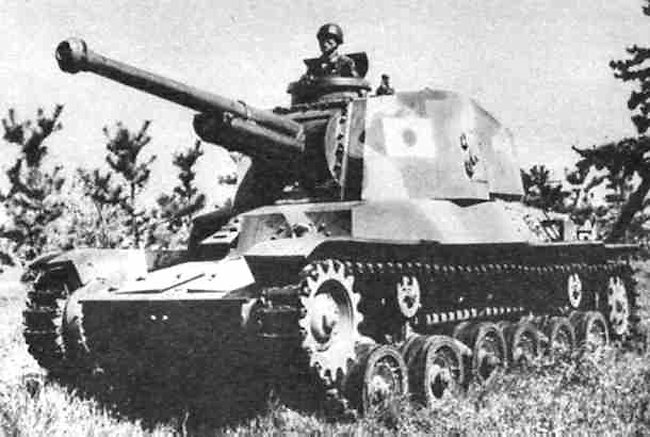 The Chi-Nu was never deployed outside of Japan, so it never actually saw service, but is a fun "what if" tank. I found the Warlord paint scheme to be a bit bland, so opted to use one from the tank encyclopedia. 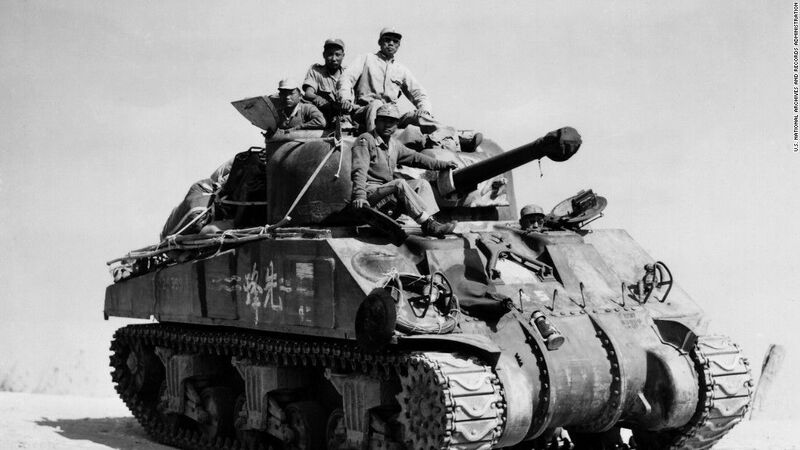 The body of the Chi-Nu is about the same size as the Chi-Ha, but with a much larger turret and gun. Overall, I'm happy with the additions, but would recommend you stick with the plastic Japanese infantry until Warlord remasters their infantry molds. Some additional transport has arrived for my IJA troops in the form of a Type 1 Ho-Ha, the Japanese take on the Sd.Kfz.251 Hanomag. This particular model is from Company B and can be obtained in the US from Brigade Games. This kit was well cast and required only minimal clean up. For the paint scheme, I've gone with a version seen in the Philippines in 1944. It's the same colors as my Chi-Ha, but with Midori-iro being the base color. The kit does not include any instructions on where to mount the two included medium machine guns, but the Company B site shows one on a pintle mount between the two forward seats. However, the Tank Encyclopedia article states there were two forward pintle mounts behind the driver compartment, with a third in the back for anti-aircraft support. And to make it more complicated, the Bolt Action IJA book says there were hull mounted machine guns on each side, with a third on a pintle mount to the rear. Since the included pintles were of two different lengths and the interior already cramped, I opted to just pin the two guns to the doors on the side hulls. I thought a transport without anyone in the back would be visually dull, so decided to buy some seated soldiers. Unfortunately, I could find no seated Japanese figures, so was forced to kit bash some Italians from Company B. This was done but swapping out the heads with some Warlord plastic Japanese heads and adding some additional gear. One figure had a cast on steering wheel, so I removed the hands and added some plastic ones, along with a sword. The Company B seated figures are smaller than Warlord's (see the second photo with a British driver), so I had the cut down the sword by a few millimeters to keep it from looking grossly oversized. Once painted and inserted in the back, I think the kit bashing isn't too obvious. Overall, I'm happy with the final product and I think it will blend in well with my Warlord Japanese. My tropical Asian village is expanding, with some new Sarrisa buildings to add to the ones previously purchased from Warbases. The upgrades made to these kits aren't much different to what I did in the previous post, so I won't go into the details again here. But in summary, I've done some distressing, carved in some planks and wood grain, and added thatched roofs and a bit of lumber. Note: When assembling the side walls on this kit, please note that they are not symmetrical, so you have to be careful when you add the outer frames or the posts won't line up properly with the windows. Note: some additional lumber was added to the top of the tower to improve sturdiness and also the visuals. So how do the two brands compare to one another? The Sarissa buildings are produced in 2mm MDF, while the Warbases buildings are 3mm MDF. Now for the Sarissa buildings, outer support beams are included, so some sections of wall will reach 4mm thickness. However, many structural elements, such as the under floor building stilts and porch railings, remain at 2mm. There were a few times I was concerned I was going to snap these thinner pieces either during removal from the frames or during the assembly. The Sarissa buildings also have fewer but longer stilts, so I feel the crush risk is a little higher with them (I play at the local shop, so have to worry about transport damage). So I'm going to score the Warbases buildings higher in this category, but that said, it's not like the Sarissa buildings are at imminent risk of collapse. Overall the footprint is pretty close between both brands buildings, so no real advantage to either side. Each brand has their relative strengths and weaknesses. Sarissa has 3D support beams on the outer walls, while Warbases are just etched in. Sarissa etches beams into the interior floors, while Warbases leave the floors plain. Warbases included shutters and widow covers, while Sarissa does not. Warbases is good at hiding the seams where pieces joins, while Sarissa's can be lazy in their obviousness. A perfect example is in the image below, where the the head of the stilts can be in the floor. On the Warbases buildings, the walls run down the same seam lines as the stilts and hide the joints. Both companies make very nice buildings and I'm happy with my purchases from each. If I had to pick one over the other, I'd likely give Warbases a slight edge for the sturdiness of their designs. And if you are willing to add in extra details such at thatching, I think their MDF nature isn't so glaring on the table. Though I mainly field my Japanese army in China, I thought it was worth putting together some South East Asian terrain for jungle fighting. To start this project, I decided to purchase some of the MDF huts made by Warbases.co.uk. While these are nice enough kits straight out of the package, I wanted something that would really pop on the table. As such, I did some work upgrading my kits. First up was improving the floor planking. While boards are etched on the external portion of the kits, for some reason they decided not to do the same on the internal flooring. Since you can see inside the buildings through the open doors and windows, I used a heavy utility knife to score boards across the length of the building's floor. I then lightly scored each board with an X-acto blade to simulate wood grain. Finally, I used the utility knife and a file to remove the hard edges on the boards. Prior to gluing the floor on to the support struts, I painted the struts and coated the building base with rock, static grass, and various aquarium plants. I recommend completing things in this order, as there is very little room for tools and brushes under the building once the floor is in place. While support timbers are etched into the building walls, I though it looked a bit flat, so I added wood strips obtained at the local model train store. I also included some on the interior of the buildings to give them a bit more texture when the roofs are off during a game. The buildings come with nice plank roofing, but I thought thatching would really improve the looks of the buildings and further hide their MDF nature. As such, I used the hobby standard of teddy bear fur. Unfortunately, the fur I was able to obtain locally was rather thin, so the backing was visible when placed up against the wood trim running along the spine of the roofs. To hide this, I ran a seam of white glue along the top,then added strands of fur cut off the backing. Painting and gluing of the thatch was done in the following order: brushed on rinse of diluted dark gray, rinse of diluted pewter gray, Woodland Scenics' scenic cement (rub in with old toothbrush to work it into the fur), dry-brushed dark gray, dry-brushed pewter gray, dry-brushed tan. I use the rinses before glue to try to soak color deeper into the fur. First up is the Nipa Hut. This is the smallest of the huts in my purchase, but you could likely fit in a full squad if you really packed in the figures base to base. One thing to note is that the widow shades on each side hang at a different angle, so double check that you have the right support pieces before gluing (there are no part numbers). This hut does not have the wood trim along the roof spine, so it was easy to hide the thatch seams with an additional strip of fur along the top. Since a portion of the roof underside is readily visible on this hut, I scored planks and wood grain on that section as noted above. I had thought of reversing the roof panels to use the pre-etched planks, but unfortunately on this kit the peg positions did not allow for it. Next up is the Kamalig Hut. This model has shutters rather than window shades, so I decided to only add the vertical wood strips in order to not obscure the shutters. The roof components on each side mirror one another, so I was able to glue them on upside down so the planking would be visible on the bottom. Size-wise, this hut is a little bigger than the Nipa hut, so I think there should be no problem fitting in an entire squad. Finally, I have the largest of the kits, the Bahay Kubo Hut. From a size standpoint, it's basically two Kamalig huts attached to one another, but with different external trim. The kit has window shades for half the windows. Slots are pre-cut for the shade supports, so you cannot alter which windows have shades unless you want to do a bit of work. Painting of the wood portions was done using the pewter gray, dry-brushed with tan. I didn't apply the gray too thickly, as I wanted some of the natural browns of the MDF to bleed through and further add to the color variation. Overall, I am very pleased with these kits and would recommend them. I was concerned that the raised supports would leave the buildings fragile, but they seem fairly sturdy. I also like the way Warbases did their best to hide the holes for the support pegs under the walls; there are only a few minor peg holes visible around the porch edges. If I am to have any criticisms, it would be to burn in the planking across the entire floor and that the roof corners likely need additional support/filling if you aren't going to glue thatching on top of them. I have a couple of huts on order from Sarissa as well, so it will be interesting to see how the two manufactures compare in terms of quality and size. I'll make a further post once those huts are completed.